If you read KarlaSugar's post about the new and reformulated version of Laura Mercier'scake eyeliner, now called " Tightline Cake Eye Liner", you know this classic product no longer works by mixing it with water and now requires an activator that contains a unique polymer and is supposed to make the liner very long lasting. Karla and my swatches show exactly what happens when you try to used it the old way. This of course annoyed Laura Mercier fans to no end. All of a sudden a $22 eyeliner becomes a $42 one, and that's a serious price increase. Last week I got the Charcoal Grey Tightline Cake Eye Liner as a GWP when I ordered the new gel lipsticks. Of course, the GWP didn't include the activator. But I actually own two similar products- one from Illamasqua and one, my favorite, from Paula Dorf. Paula Dorf's Transformer has been a staple for years: a single drop makes every eyeshadow into a waterproof eyeliner. 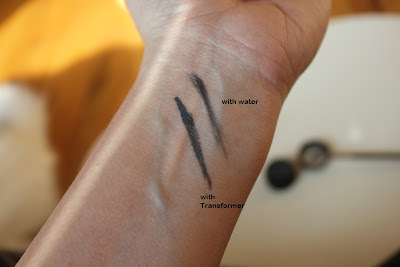 I gave the Transformer a try- put a drop on the back of my hand, dipped an eyeliner brush to dampen it, swiped the brush along the edge of the cake liner to collect the pigment and applied. It worked- both for the swatch and on my eyelid. I'm wearing it today and the line is perfect. 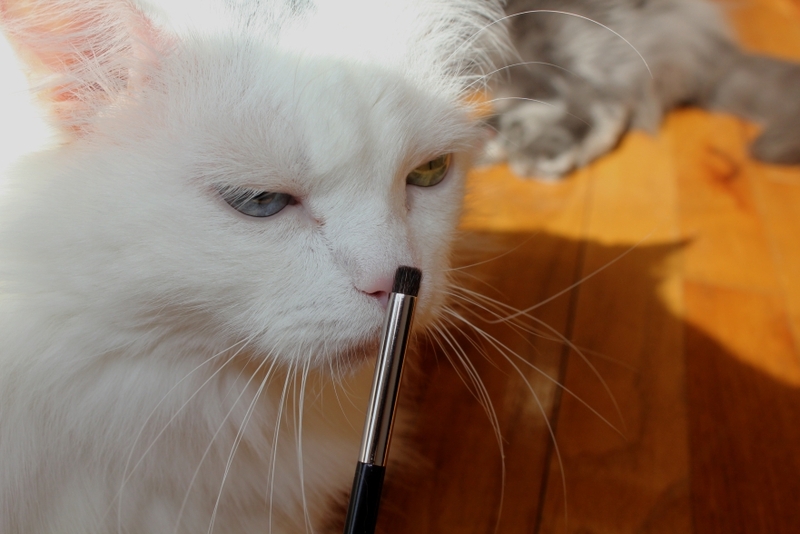 I also love this rich gray color- it's very flattering against brown eyes. 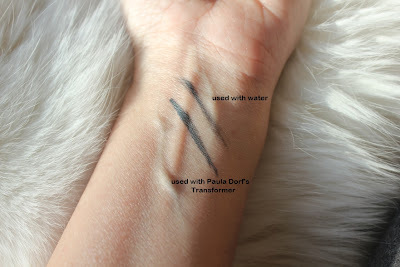 The best thing about using Laura Mercier's Tightline Cake Eye Liner with Paula Dorf's Transformer (other than that I already have a bottle) is the amount of product you get for the same prize: Laura's Activator is $20 for a 1/4 oz (7.5ml) while Paula's is the same prize for a 0.5oz. Bottom Line: Great color but Laura still owes us an apology. 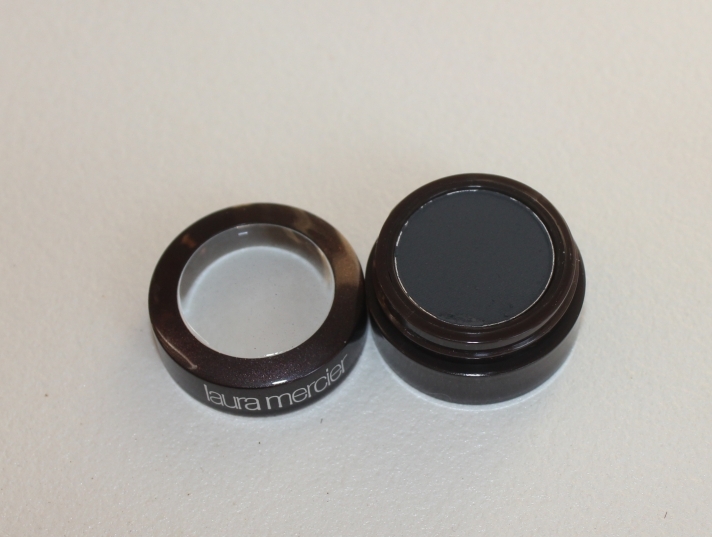 Laura Mercier Tightline Cake Eye Liner in Charcoal Grey and other colors ($22) is available from Laura Mercier counters, Sephora and the company's website. As mentioned above, the mini I used was a GWP. All photos are mine. The shaggy white rug is Buffy. An ACTIVATOR!?? Seriously?? Sorry I'm fuming. It looks like the Sephora website still has the old formula. Must stock up. Boo, Laura. Boo. 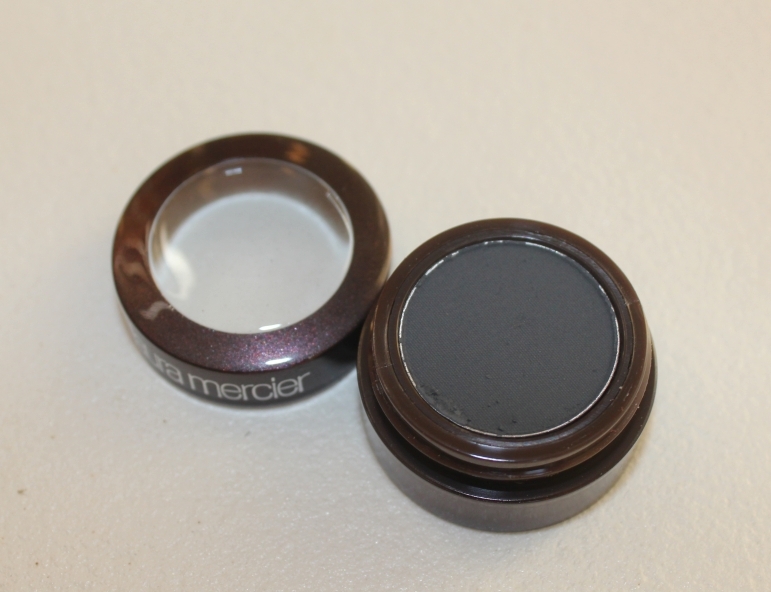 I love LM makeup, and have been using the cake eyeliner and tight-lining for a few years. 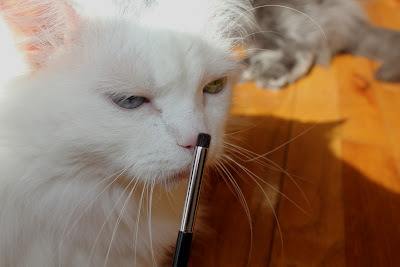 When I heard Laura Mercer was coming out with a new tight-liner eyeliner, I was excited, but to hear that the eyeliner works better with their "activator" which costs 20 dollars, what a bummer! According to comments in Karla's post, as long as you have never used the eyeliner with the activator (or presumably other similar products) then it works perfectly well with water. However (according to them) if you use it with the activator, then you can never go back to using it just with water. Elizabeth, I haven't tried the green though it looks great (saw it at Bloomie's and in Karla's swatch). I might get it at some point, but right now I have enough green eyeliners ( a review of another one is coming soon). The sound you hear is the collective grinding of teeth of LM fans who feel like they've just been raked over the coals by a money grubbing cosmetic company. It's just a crass marketing strategy designed to tack on a big chunk of extra change. On Karla's blog, an LM MA offers an explanation as to how the creation of an activator came about. That's fine for the MA's, but I think the cost will dissuade new customers from trying her liner/activator and will alienate many of her current ones. Her cake eyeliner is good, but it isn't the end-all-be-all of cake liners.